FULTON, NY – Ernestina Money (played by Katelyn Caza) makes Horace Vandergelder (portrayed by Mitch Lalik) most uncomfortable in the Harmonia Gardens Restaurant. The young lady was sent to have dinner with Mr. Vandergelder by Dolly Levi, the well-known matchmaker who is determined to find the grumpy widower a new wife. 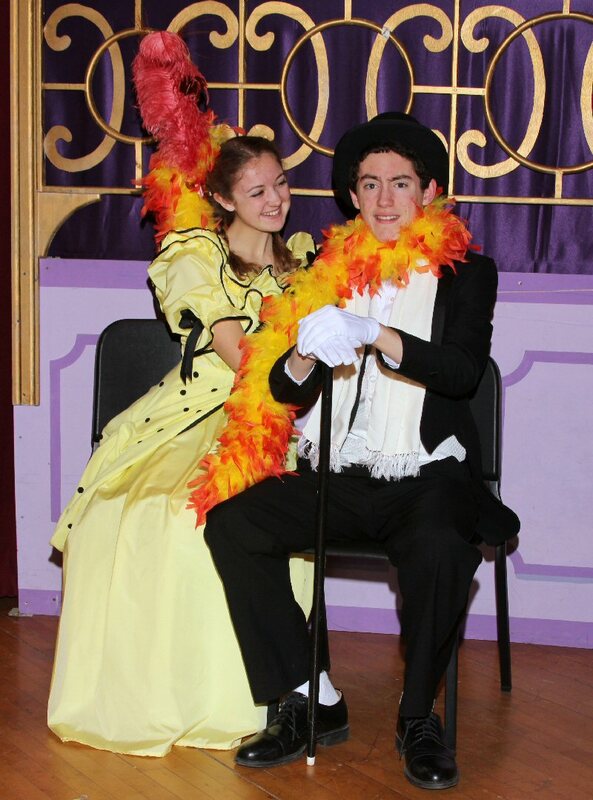 The scene is from Quirk’s Players’ upcoming production of Hello, Dolly! which will be performed March 7-8-9 at G. Ray Bodley High School.